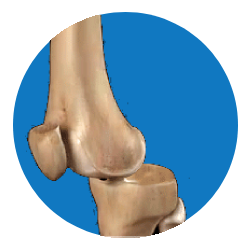 It includes dislocation of knee cap (patella) or dislocation of shin bone (tibia & fibula) in relation to thigh bone (femur). Knee dislocation may be associated with ligament injuries (ACL, PCL, MCL, LCL) & Meniscal (Medial or Lateral) Tears. Vascular & Nerve injuries are also common. Surgery when closed manipulation fails, when associated with fracures , vascularor nerve injuries.